Released amidst less expectations, anchor turned director Ohmkar’s latest film, Raju Gari Gadhi, turned out to be a surprising hit of this Dasara festive season. 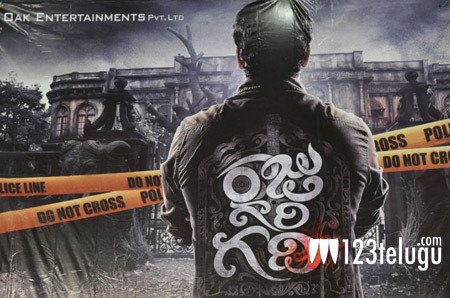 Made with a modest budget of just about 3 crores, Raju Gari Gadhi is poised to generate thrice the investments for its makers and distributors. To celebrate this thumping success with the audiences, the unit of Raju Gari Gadhi will be touring across the Telugu states starting today. This morning, the unit will first visit a theater in Vizag and the tour will continue in places like Kakinada, Rajahmundry, Vijayawada and Guntur etc. Meanwhile, more screens have been added for the film in AP and Nizam areas and the film also release in the rest of India and in overseas areas.